The finest grapes, carefully selected from the vineyard, as well as at the picking belt, will continue their journey to the fermentation vessels, yet not before destemming, in order to avoid a grassy taste from green clusters. Alcoholic fermentation is the first step in wine production and it is done by selected yeasts. These transform the sugar from grape crush into alcohol. For white wines, only the fermentation of the grape crush after the grape pressing takes place. For flavoured and red wines, a macer-fermentation is needed, which means a fermentation in the presence of grapes, especially their peel, from which the flavours and colour of the wines are extracted. The duration of the maceration is of a few hours for flavoured varieties (Busuioacă de Bohotin and Tamaioasa Romaneasca) and of a few days for red varieties. 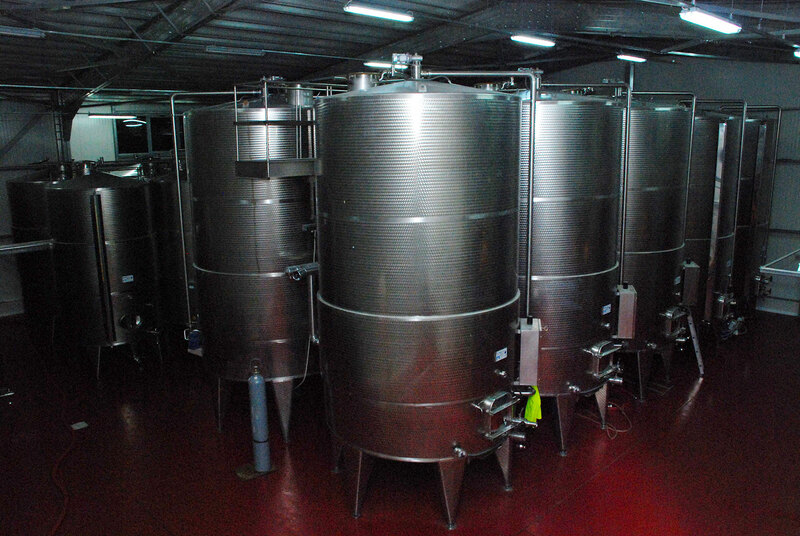 For the alcoholic fermentation, Basilescu Winery possesses stainless vessels with automated temperature control which guarantees a thorough control over the process. Why is this important? That is because the fresh, fruitful flavours is a lot better maintained if the alcoholic fermentation takes place at low and constant temperatures. The alcoholic fermentation phase represents the genesis of the wine, which is why it is carefully monitored through tests and analysis. Immediately after the alcoholic fermentation, the wine fining takes place, which is done naturally, using only the gravitational force. On the bottom of the vessels larger particles are deposited, remnants of grapes after the pressing, as well as the lees and some molecules with vegetal origins which, due to changes in the composition of the liquid, lose their solubility and precipitates (for example: the tartaric acid – an acid with vegetal origins, specific to fruits, especially grapes). This process can take a few weeks (depending on the turbidity of the grape crush and the total volume of the liquid), which is why only a few coagulant substances are used, of mineral or organic origins (clay, fish oil, gelatin, egg-white, etc.) in order to increase the precipitation speed of the particles and their deposition. This phase is followed by the extraction of the wine left on top of the deposition and its filtration.